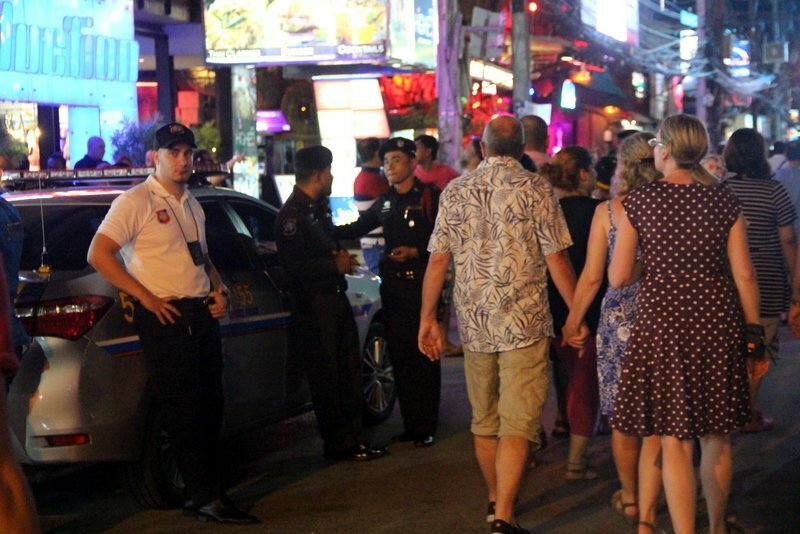 PHUKET: A gang of drunken thugs threatening expat police volunteers on patrol has exposed the lack of police protection provided at the police box at the beach end of Bangla Rd in Patong. 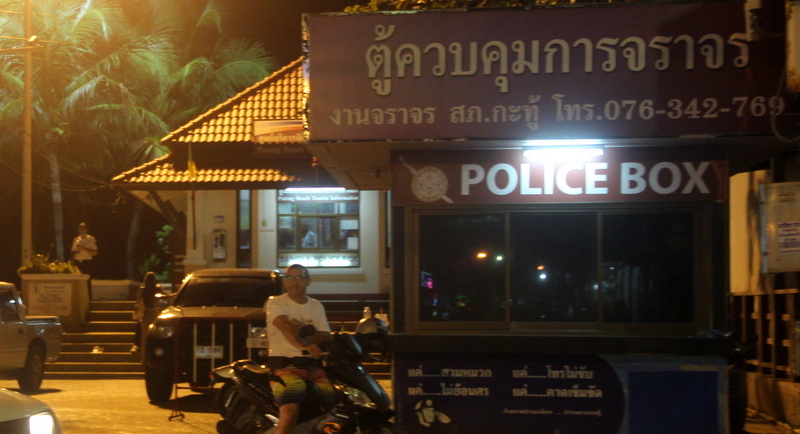 The police box at the end of Soi Bangla is often unattended while the one policeman on duty does his rounds. The original five goons were photographed drinking beers on the steps in front of the police box. 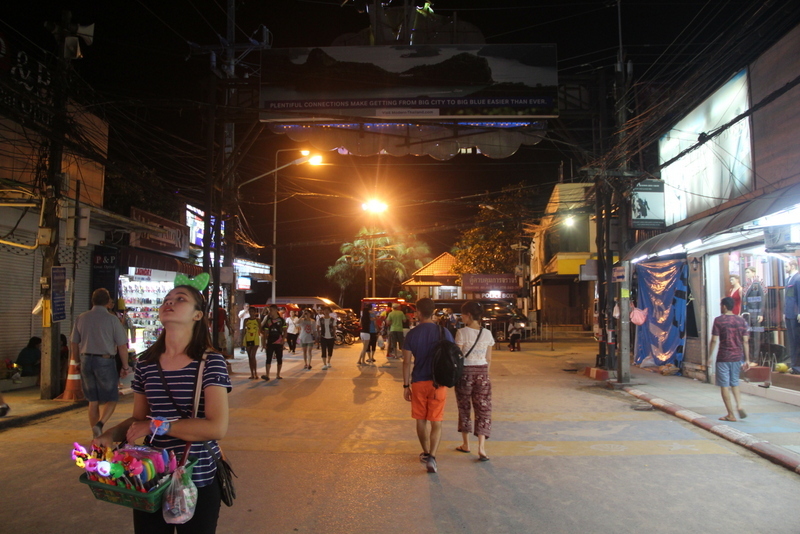 The beach end of Soi Bangla can get quiet at night. 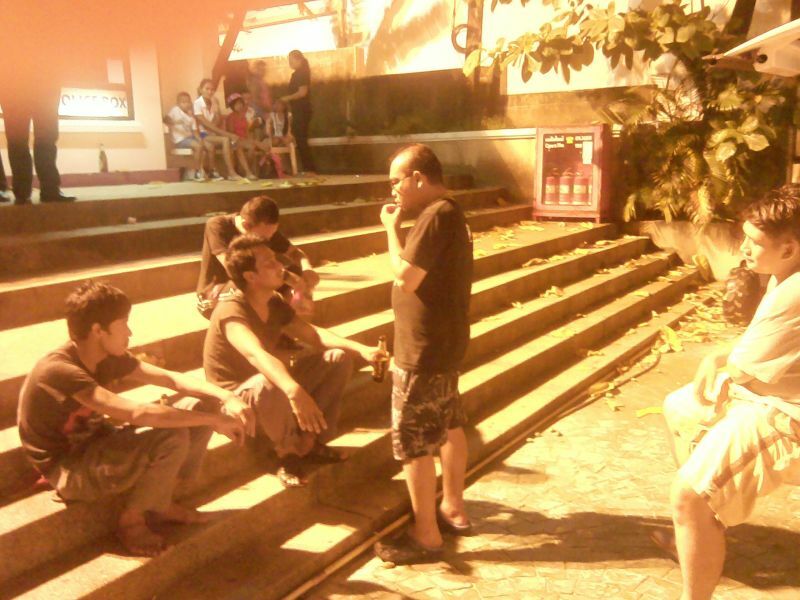 Obviously, these Thais do not fear arrest, conviction or sentencing for the fighting they came to engage in. That says it all. Did they have weapons? That there has been no strong police response is also crystal clear whom has the power. My advice to tourists is do not come to Bangla it is out of control. That's why I will never be a police volunteer here in Thailand. Whatever you want to do and if you want to make it right (the way it should be) will not work here because those thugs have already paid good money for their impunity. Don't you agree?